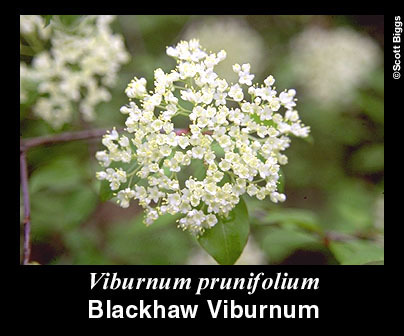 Viburnum prunifolium is a small tree or large shrub noted for spring flowers, autumn fruits and leaf color, dense twigginess, low shade, and slow growth. 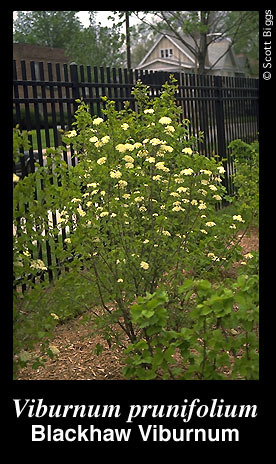 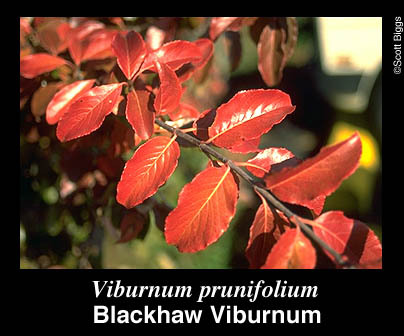 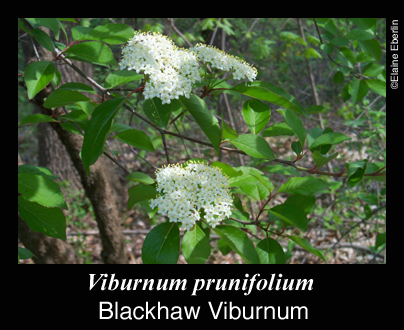 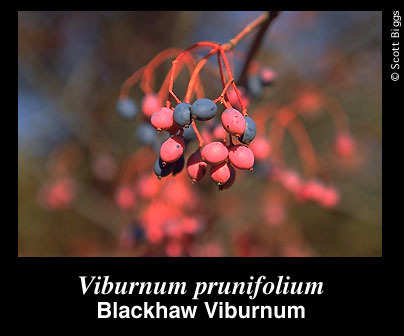 Blackhaw Viburnum is useful for wildlife refuge, screen, or naturalized mass planting. 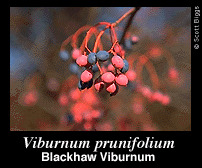 -native to the Eastern and Midwestern U.S.